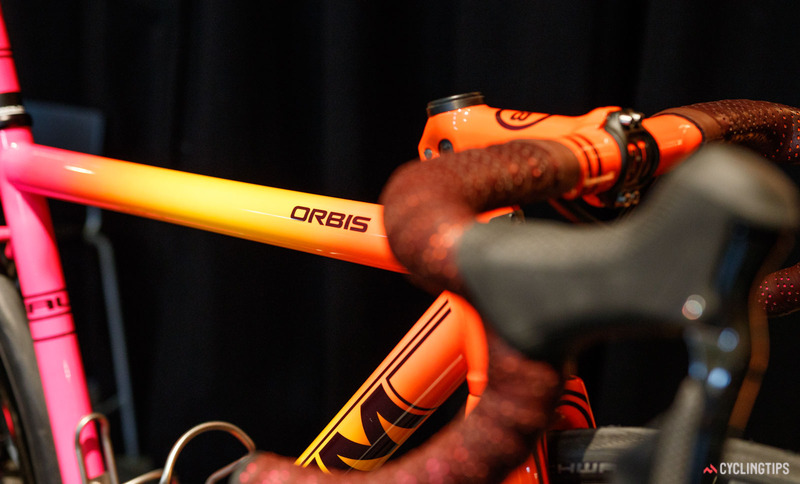 Handmade Bicycle Show recap ? James and I are fresh off the plane from Melbourne after exhibiting at the Handmade Bicycle Show Australia and as I settle back into my regular desk my mind is still processing the whirlwind weekend. The show was a mix of new and established builders. The Old Guards of Aussie framebuilding like Baum, Darryl McCulloch of Llewellyn, and Euan Gellie were of course in attendance but looking down the exhibitor list for the first time left me googling names I’d never heard like Moora and Tor. 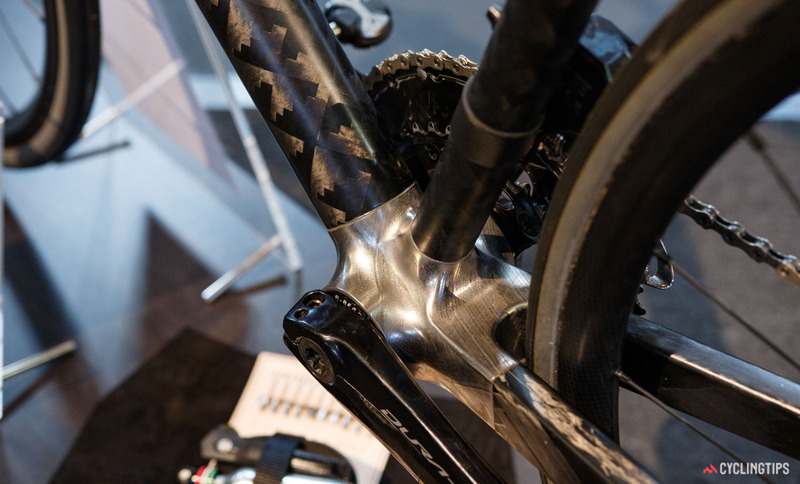 There was a wide range of materials: Carbon fibre, titanium, steel, and both plywood and hardwood! 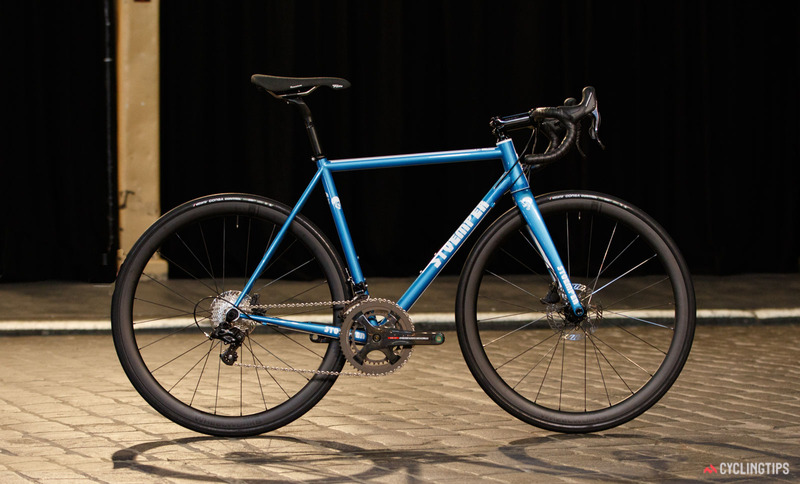 Steel is the quintessential framebuilders material because it rides well, looks good, and is relatively easy to work with. 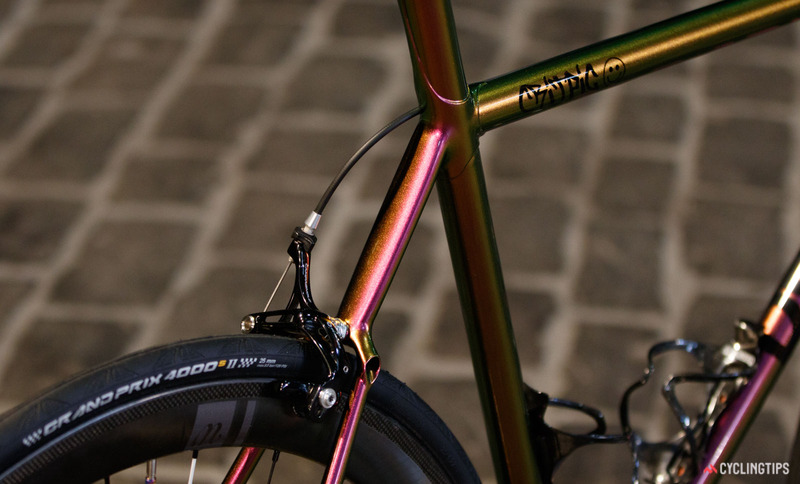 Titanium seems to be making a big of a resurgence and in addition to the faultless Baums the TIG welds and anodized artwork on Moora’s offerings were incredible. Prior to us selling a pair of wheels to Prova’s main-man Mark I had not heard of this new brand but I was impressed with the clean lines, the attention to detail, and the subtle addition of 3D printed sections. 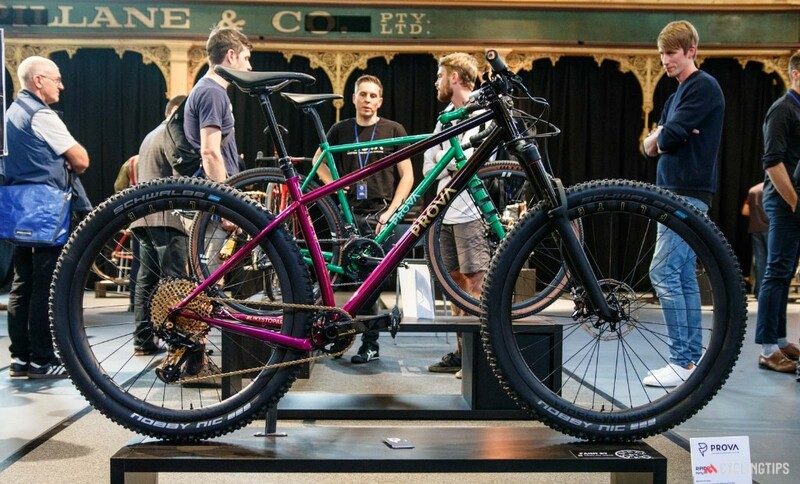 Plus I’ve got a thing for purple bikes and a thing for slack bikes. Just looking at this bike made me want to go to the beach and eat an icecream. Baum’s welds are so tidy it almost seems a shame to cover them up, even with such a cool scheme. I’ve been a fan of wishbone seatstays since seeing some on a Dekerf 20-odd years ago and I loved the modern take on them. That chameleon paint needed to be seen in real life: it’s stunning. This Stoemper was super clean and the blue colour really popped. Disc brakes plus Campagnolo makes me happy. The biggest surprise of the show was how many attendees were existing clients of ours and it was great to meet so many of you in person! It was also nice to hear so many “my friend has a pair of your wheels and loves them” stories. As a business owner I always hope we’re heading in the right direction but hearing so many complements confirms the excellent work that Gavin, Liam and James do. I’ve never spent a lot of time in Melbourne: I’ve holidayed there, attended the F1 around Albert Park, and I mechanic’d at the Herald Sun Tour with it’s Yarra River opener, but I’ve never become familiar with the city. This short trip reaffirmed what I knew: the weather is good, there are bike lanes everywhere, and the food is fantastic. 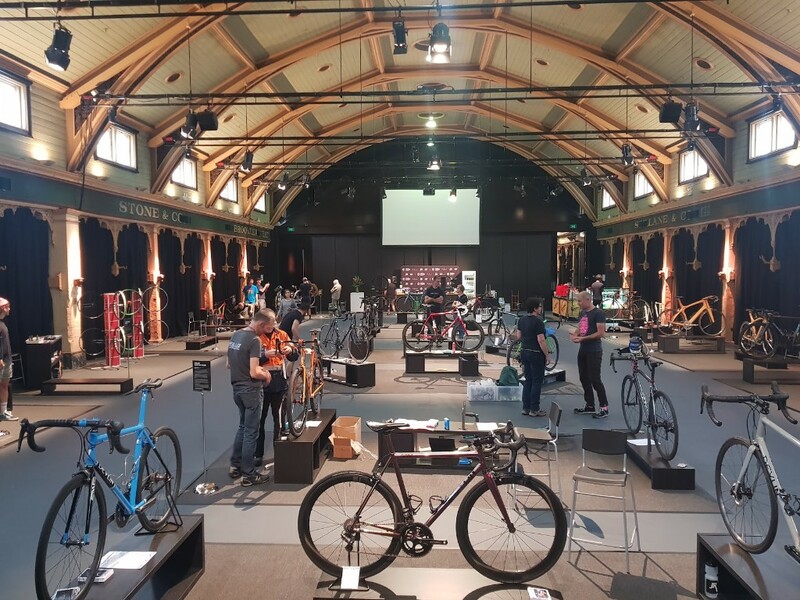 Various bicycle shows have been organised before but this one is the first under the organisation of Corporate Cycling who did a simply fantastic job of bringing together the exhibitors and the public in the beautifully restored Meat Market venue in North Melbourne. Nathan and Michael did a simply fantastic job and no detail was overlooked: our carpeted booth was vacuumed every morning before we arrived, and there was a cargo bike delivering beer and pizza to keep us fed and happy. All up this was an incredible show. I’ve got no doubt it will be run again next year and I’d highly recommend making the trek to Melbourne for it. Were you at the show? What did you think?